In the contemporary power equipment trade, Auburn, Ala. is known as the location of one of Briggs & Stratton’s commercial engine plants, PET Editorial Adviser Dan Shell’s hometown and the place PET Managing Editor and UAT grad Jessica Johnson wishes she was born. Much of the sporting world knows about Auburn University’s toilet-paper-and-oak-trees tradition. 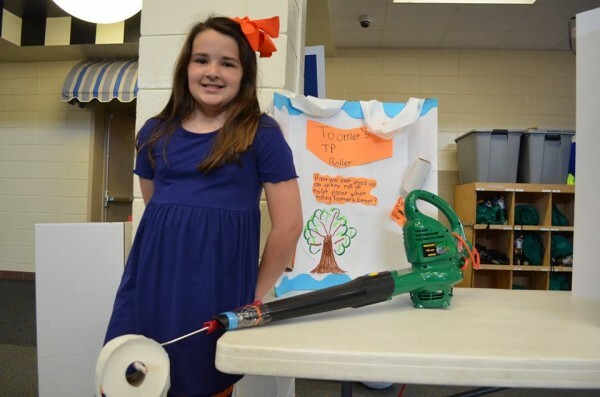 But now, thanks to a student at Auburn’s Ogletree Elementary School, Auburn University fans after a big victory can spread toilet paper farther and faster with a specialized blower attachment that allows much more efficient action. According to a review at renowned web site wareaglereader.com, the product, called a leaf blower toilet paper rolling wand, “is perfect for coating Toomer’s Corner like a boss. No more worrying about totin’ an armload of expensive double ply only to get five or so throws before some punk swipes your Charmin and sends your kid into hysterics. The invention this Ogletree Elementary student presented at a recent Invention Convention allows users to take advantage of the entire roll, and in mere seconds.” Though no product specs were released, the base unit appears to be a Poulan electric leaf blower.